Looking for the perfect gadgets for yourself or to give away to your families and friends this Christmas? Lenovo, the world’s leading PC and smart devices developer has compiled the best tech gifts that are sure to make someone’s day this holiday season. 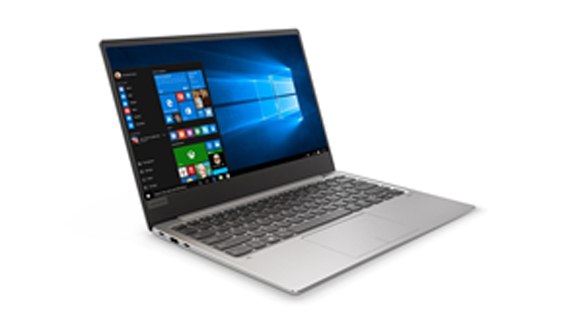 The Yoga 530 features Lenovo’s signature 360-degree hinge that allows it to transform into four modes — laptop, tablet, tent, and stand. All models come with 8.8mm narrow bezels and up to Full HD IPS displays with 250 nits brightness. The device is bundled with Lenovo’s Active Pen, which features pin-point accuracy giving the natural feel of a pen-on-paper writing experience. Together with its palm-rejection feature and beautiful display, Yoga 530 is an excellent choice for artists. The Yoga Y530 comes with virtual surround sound features from its Harman Speakers and optimized with Dolby Audio™ Premium. It is available in both Intel and AMD variants with up to Intel Core i7 or AMD Ryzen 7 processors that are more than enough to handle various multimedia tasks. It can also have up to 2GB NVIDIA GeForce MX130, 16GB DDR 4 RAM, and 512 GB PCIe SSD storage. Weighing only 1.14 kg and measuring 13.6 mm thin, the IdeaPad 720s is made for those who use their device almost 24/7 for work. It has a battery life of up to 9 hours, making performance uninterruptible even when on-the-move. The device also has a Full HD wide-angle IPS display and is supported by 360° sound from Dolby Atmos®. 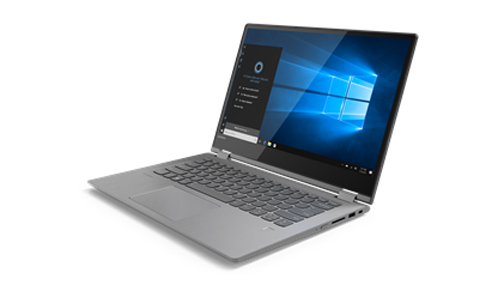 Running on Windows 10 OS, the IdeaPad 720s also comes with the personal digital assistant Cortana. She’s prepared to answer questions, open necessary apps, set reminders, and even read appointments from a calendar. The device also sports a premium aluminum finish, which makes the design sleeker and cleaner. It comes with AMD Ryzen™ 5 2500U Mobile Processor that uses multi-thread processing technology, delivering blazingly fast performance. The IdeaPad 720s also has Radeon™ Vega Mobile Graphics, 512 GB PCle SSD storage, and 8 GB DDR4 RAM. One of the first few laptops to feature Lenovo’s reimagined design for its gaming PC lineup, the Legion Y530 is a perfect gift for the modern avid gamers. It comes at only 24 mm thin and 5.1 lbs. light while its bezels are 62% thinner compared to its predecessors. Whether for work, school, or playing video games, the Legion Y530 is capable of handling anything with ease. The laptop is equipped with up to NVIDIA® GeForce® GTX 1050 Ti GPU, up to the latest 8th Gen Intel® Core™ i7 processor and Windows® 10. The Legion Y530 supports up to 16 GB DDR4 2666MHz memory and ships with up to a 512GB M.2 PCle SSD or 2TB HDD storage. The Legion Y530 also has an improved thermal layout with dual fan design and quad-vent cooling for increased airflow, making overheating during work or gaming sessions a thing of the past. 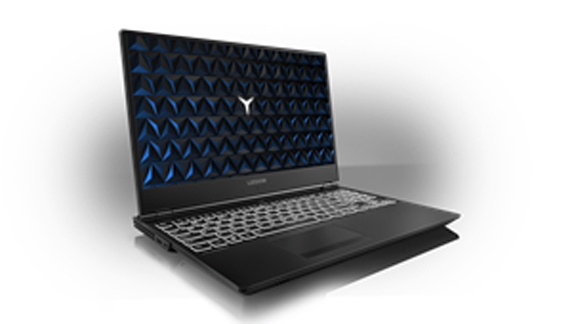 To top it off, some models of the Legion Y530 ship with Intel Optane technology, a system acceleration solution that boosts a computer’s responsiveness to end-user requests like launching applications, finding and moving large files, and even loading levels in video games. 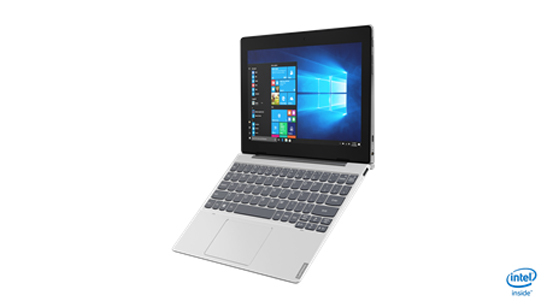 A tablet and laptop in one, the IdeaPad D330 is suited for professionals in today’s modern workplace, as well as young adults with light productivity and study needs. Its keyboard is detachable, turning the device into a tablet that boasts a convenient trackpad, Dolby Audio™ Premium, and a 10” screen with HD display. Users get an Intel® Pentium® Silver N5000 processor, 4GB of RAM, 128GB of storage, and Intel® Integrated Graphics, which are more than enough to handle office tasks and some basic to medium computing needs. In addition, the device sports USB 3.1 Type C, making charging quicker than average. Battery life can last up to 13 hours, and with a starting weight of only 1.13 kg, the IdeaPad D330 is an ideal companion for the on-the-go professional. Price starts at P24,995 for the Mineral Grey and Bronze models. Those in the market for their first laptop may want to check out Lenovo’s IdeaPad 330, 330s, and 530S, as these devices are suitable for average to mid-power users. All three IdeaPads come equipped with the latest Windows 10 Home operating system. They can also have up to an 8th Generation Intel® Core™ or AMD Ryzen™ mobile processor which assures a faster boot-up time and gives a boost when it comes to multitasking, gaming, and entertainment. Prices start at P17,995, P30,995, and P49,995, respectively. All items are available in major electronics stores. Prices may vary.